What are payment methods accepted on this site ? When you purchase license online, you can choose to make payment online using Visa and Master Card or choose offline payment where you can make payment via Bank Deposit or Online Bank Transfer at later stage. After I make order online, how long do I have to wait for the license ? If you order during the working days from Monday until Friday, you will receive the license key within 24 hours from the time you complete your order with confirmed payment. Will License Certificate be provided ? Will installation CD be provided ? No. Download link will be provided for you to download the latest version of AVG Software. I wish to renew my AVG License, how to proceed ? Please fill up this form and we will revert to you ASAP. 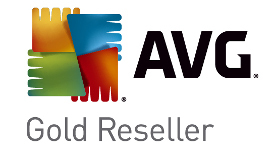 Can I upgrade my AVG Antivirus Business Edition to AVG Internet Security Business Edition ? Yes, you can. All that you need to do is to email us your current license key and we will then be able to quote you on the upgrade fee. With the upgrade, the expiry will remain unchanged. When I increase my license size, will all licenses, new and old, expire on the same date ? Yes. To increase the license size, provide us with your current license key and tell us the number of license you wish to add on to the current license and we will quote you accordingly. With the expiry remain the same and fall on the same date, it will be much easier for you to manage the renewal of the licenses in the future.